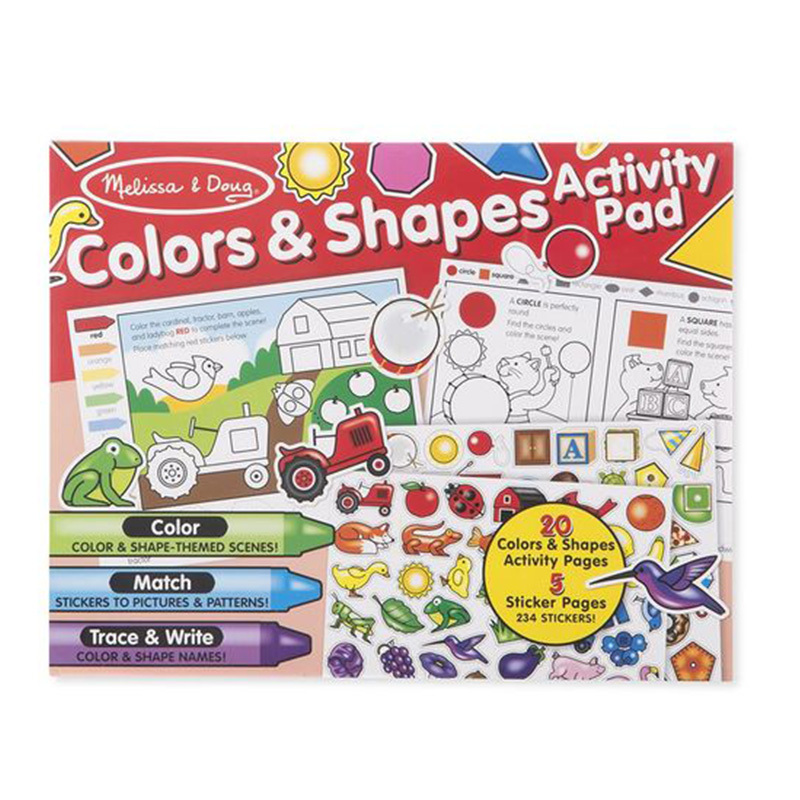 Kids will have hours of fun with this jumbo coloring, writing and sticker pad jam-packed with fun color and shape activities! There are color- and shape-themed scenes to color, more than 230 stickers to match to pictures, and tracing and writing activities to help kids four and older learn to recognize shapes and colors. 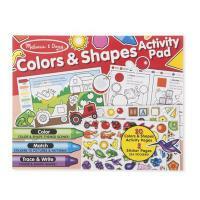 The 20 activity pages are printed on top-quality heavy bond paper, perfect for crayons, markers, or pencils.